Planting a garden can be such a rewarding experience, but for a beginner, it can also feel like a daunting task. The truth is, gardening doesn’t have to be difficult. 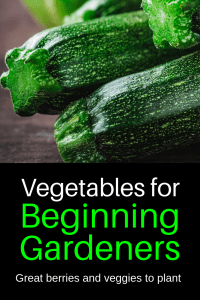 There are so many easy to grow plants that are simple to plant and harvest, making them a great choice for a first-time gardener. 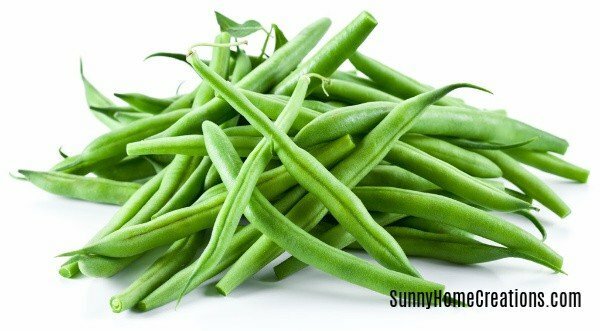 Green beans are a great option for beginning gardeners. Beans need well-drained soil and full sun, but they aren’t fussy about much else. Bush beans are a great option because they don’t require any support like their climbing counterparts, pole beans. Bush beans produce a bountiful harvest for around two weeks, so it’s best to sow seeds every few weeks to ensure you have an ongoing harvest of delicious fresh green beans all summer long. You can find bush beans here. Carrots are one of the easiest root vegetables to grow. To make sure you grow beautiful, long carrots, work the soil fairly deeply before planting your carrot seeds. Then, be patient as you wait for your carrots to grow. 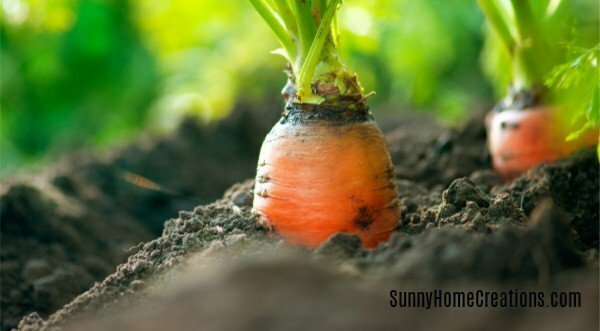 Carrots are ready to harvest after a couple of months or when you begin to see a bit of orange popping up through the soil. And they’re well worth the wait. You’ll never taste a better carrot than one fresh from your garden. You can pick up some carrot seeds here. 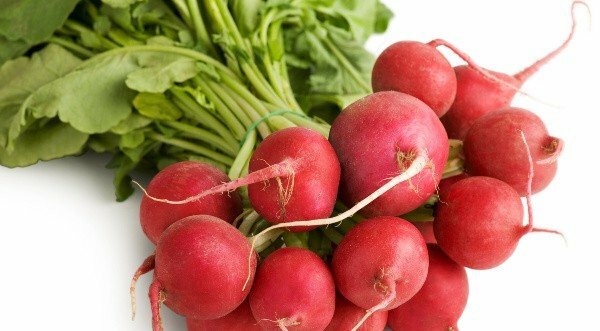 Radish are another easy to grow plant that is perfect for the beginning gardener. You can grow radishes in containers or sow the seeds directly into the soil throughout the spring and fall. Radishes can be planted four weeks after the last frost and only take one month to grow. Since they have such a short harvest time, it’s best to plant radishes every two weeks during the cooler months to ensure a continual harvest. For best results, make sure your radishes have lots of sun and consistent moisture. Crunchy salad leaves are quick-growing plants that are super easy to grow. 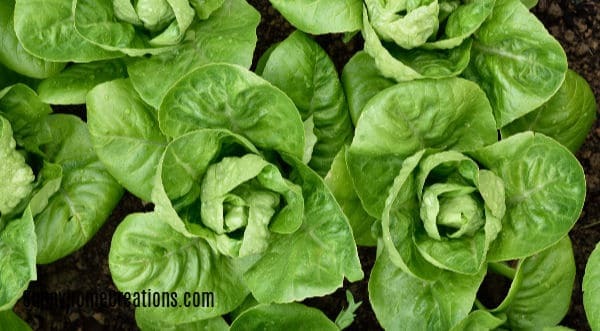 There are a variety of leafy greens to choose from, including plants like lettuce or spinach, or you can purchase a mix of greens to plant in your garden. These plants can be sown throughout the summer months and can be harvested after three weeks. To harvest, simply cut the leaves off the plant – they will continue growing new leaves throughout the growing season. You can find romaine lettuce here. 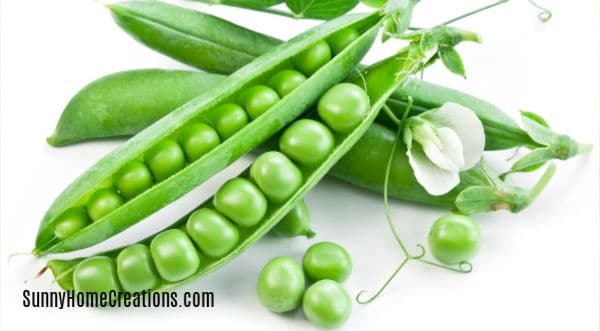 While peas do need a little support to grow properly, they’re relatively trouble-free. You can support your pea plants with long poles and chicken wire or a trellis. Peas love cool weather, so plant them early in the spring for best results, and make sure not to overwater them. They can be picked throughout the summer, and the best part about peas is that they produce more fruit the more you pick the ripe pods! You can pick some peas up here. The hardest part about growing zucchini is figuring out how to use up your zucchini. Bush zucchinis are the easiest to grow and won’t take up as much room in your garden as other squash options available. You can sow your seeds directly in the soil or transplant them into your garden after the danger of frost has passed. These plants need full sun, lots of compost, and continually moist soil to thrive. 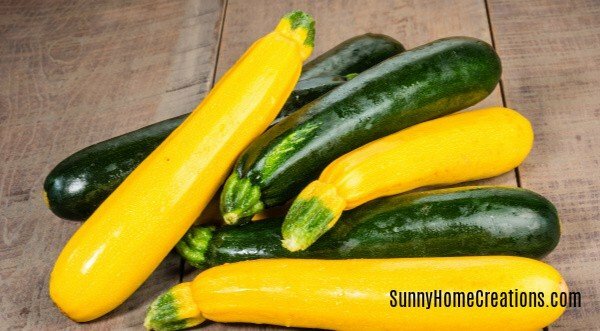 Zucchini tastes best when they are harvested while small and tender, which is usually a week after the plant begins to flower. Grab a packet of zucchini seeds here. Tomatoes are a garden favorite for good reason. Most tomato varieties are easy to grow plants and don’t require much maintenance – just regular watering and a little bit of pruning. Adding a little bit of mulch, such as straw or shredded leaves, around the base of your plant will help your tomato plants conserve moisture and prevent common diseases. 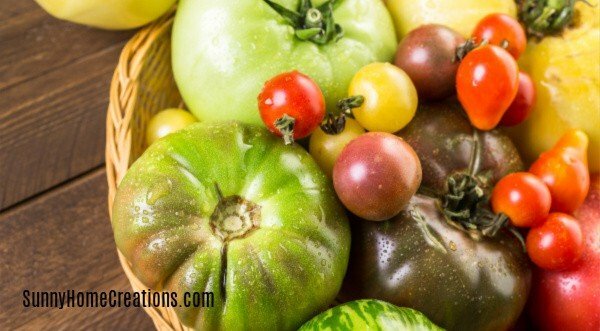 For better tasting tomatoes, limit watering to one to two inches a week and remember to prune the plant’s foliage regularly. You can find a tomato mix packet here. Potatoes are a simple and pretty low-maintenance garden plant. There are a variety of ways you can plant potatoes. Traditionally, potatoes are planted in row trenches with the shoots pointing upwards, but you can also plant them in a no-till garden by covering the shoots in a thick layer of compost, leaves, straw, or hay. Large containers or sacks are another easy way to plant potatoes. 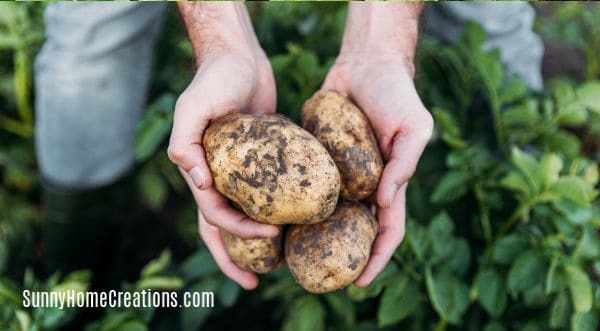 New potatoes can be harvested two to three weeks after the plants stop flowering, but for full-grown potatoes, you should wait until after the foliage has completely died. You can purchase seed potatoes here. 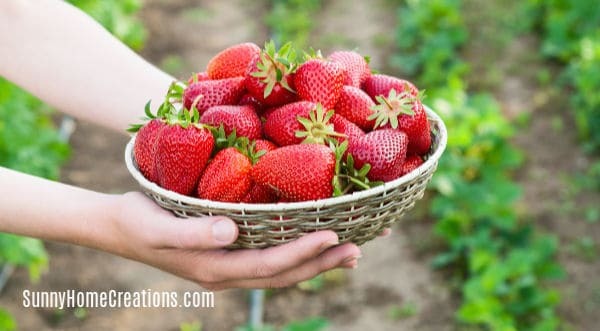 For the best harvests, grow strawberries in a sunny spot either in a container or surrounded by organic mulch like straw. Strawberries are perennial plants and may not produce a very large harvest their first year. To ensure you have a great harvest next year, remove the long trailing stems that grow from the plant. The wonderful thing about growing peppers in your garden is that they are resistant to most garden pests. These easy to grow plants should be started indoors and transplanted when the temperature outside is consistently above 70 degrees. 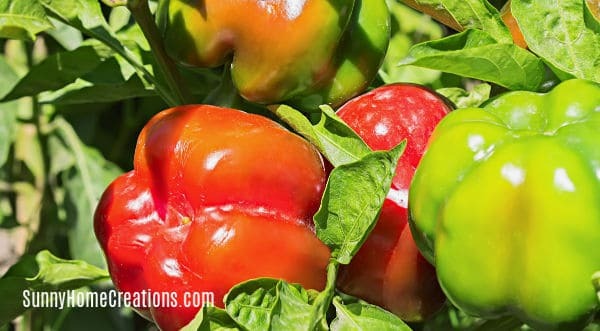 Peppers require a moderate amount of water and a little bit of fertilizer after the first fruits begin to form. I wish you much success with your vegetable garden. If you found this post helpful, I’d love for you to “Pin It”!